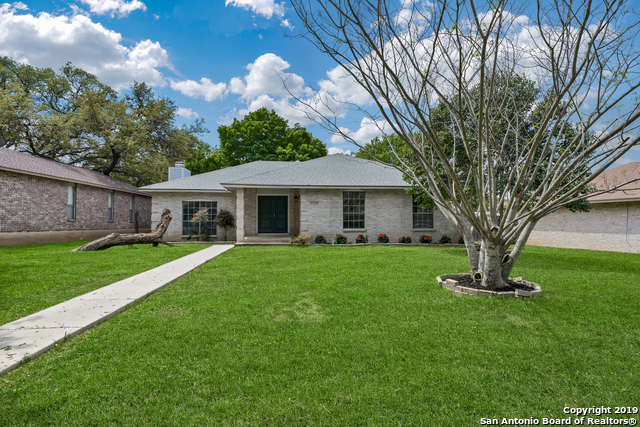 All CASTLE HILLS FOREST homes currently listed for sale in San Antonio as of 04/25/2019 are shown below. You can change the search criteria at any time by pressing the 'Change Search' button below. 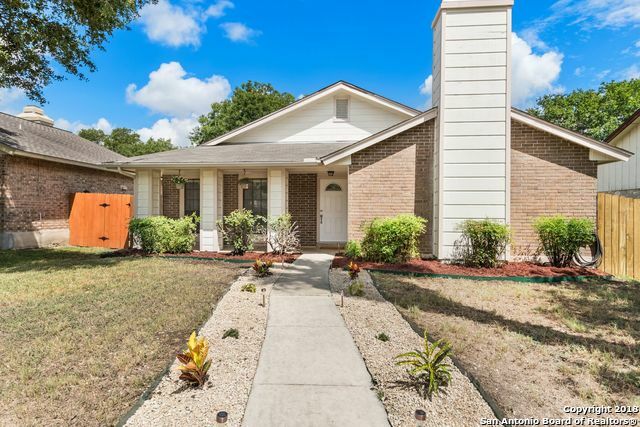 "Location, location, location for this stunning single story home in Castle Hills Forest. Burdick built home with added game/media room that was also added by the builder. This house is built on a level lot, and has an open concept. New ceramic flooring as you enter, new laminate in the game room, and new carpet in bedrooms. Remodeled kitchen with granite counter tops and remodeled bathrooms make this home a great choice! Great schools and shopping nearby. Close to major highways." "DOUBLE GARAGE**DOUBLE CARPORT**PLUS CONVERTED GARAGE**FRESH PAINT**DOUBLE VANITY**FP W/GAS LOGS**PLANTATION SHUTTERS**CLG FANS**TRIPLE SLIDER OVERLOOKS COURTYARD TYPE BACKYARD** GAS STOVE**SUPERCOOL GARDEN ROOM OFF KITCHEN** MASTER HAS BONUS RM (converted original garage) FOR SPATUB,WASHER/DRYER,EXERCISE AREA,AND LOADS OF CLOSETS WITH ALL MIRRORS**EXPANDED KITCHEN** ----CHARMING HOME !! ALSO FOR RENT SEE MLS #1353625"
"SALE ONLY FOR INVESTORS! NEWLY RENOVATED 2 bdrm/2 bth garden home in Castle Hills Forest! Features include NEW landscaping, NEW front roof, NEW gutters, NEW paint inside & out, NEW ceramic title throughout, NEW stainless steel appliances (gas connection), NEW french doors, NEW tankless GAS water heater, Nice size master bdrm w/extended walk-in closet, NEW 2nd bdrm/bth addition with option to use as room rental-back door access, NEW fencing, New carport, and electrical up to code! **HOME SOLD AS-"